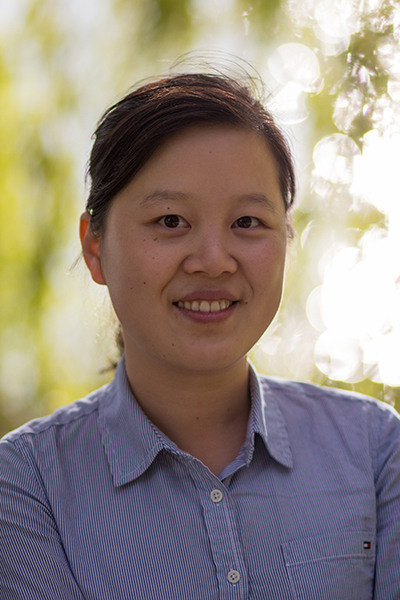 Professor Jiaying GuEconometrician Gu joined the University of Toronto economics faculty in 2015, after completing her PhD at the University of Illinois. This award of the Polanyi Prize is the thirteenth win for department faculty since the inception of the awards in 1987, which puts Gu in excellent company. Established to honour the 1986 Nobel prizewinner in chemistry, U of T's John Charles Polanyi, the awards are made by the Government of Ontario. There are five prizes of $20,000 awarded to young researchers undertaking exceptional work in economic science, physics, chemistry, physiology/medicine and literature. The award recognizes Professor Gu’s novel statistical methods, which have the potential to provide more accurate ways of evaluating teachers and analyzing purchasing decisions. Her research addresses an acknowledged difficulty in achieving comprehensiveness in economists’ data, namely ‘unobserved heterogeneity’ – that is, the differences in the behaviour of individuals that cannot readily be measured. These could take the form of, for example, innate ability or personal preference. She argues that the results derived from the standard methods employed to allow for these differences are unreliable. She proposes instead that big data’s increasing capacity to provide copious amounts of more nuanced information gives a route into tackling elements of datasets that are traditionally difficult to observe. Take the example of evaluation of teacher performance: this appraisal focuses on student grades, while teaching style cannot be factored in accurately given the difficulty of observing it. To devise a more representative evaluation method, Gu is working with a dataset from elementary schools in the US with the aim of producing methods that will more accurately reflect the contribution of teachers. Individual behaviour is also under scrutiny in Gu’s other work, which is to develop a methodology to understand the relative effects of personal characteristics and market conditions on decision-making. An improved statistical method will allow predictions to be made about how consumers might react to changes in the market, such as the introduction of a new product or alterations to a product’s price.